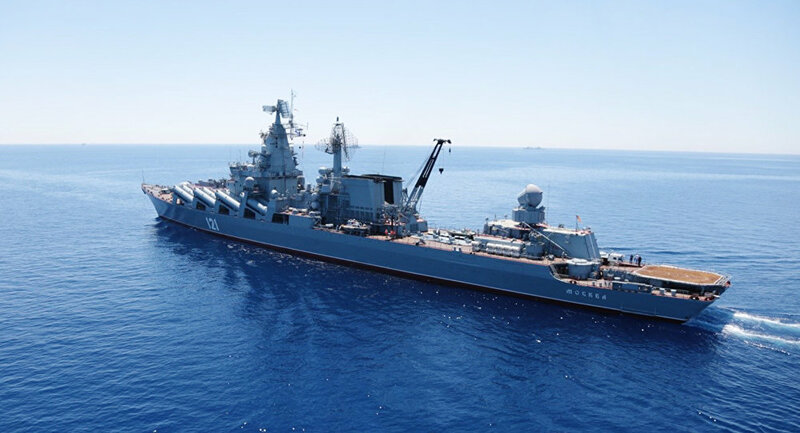 Russian cruiser Moskva which has a maritime analogue of S-300 systems in Latakia is able to destroy any potentially dangerous target in the air, Russian Defense Minister Shoigu said. "The Moskva guided missile cruiser outfitted with S-300F Fort anti-air systems took position off the coast of Latakia. Its early warning systems and air defense array will provide adequate cover for the Russian Aerospace Forces elements in Syria," the source said. It was reported earlier that Russian bomber jets would accompany all of Moscow's missions against Islamic State targets in Syria. Prior to Tuesday's attack, Russian bombers were conducting their missions without air cover. Turkish warplanes shot down a Russian Su-24M bomber aircraft that Turkey said had violated its airspace. Both pilots ejected, and one was fatally shot while parachuting to the ground, the Russian Defense Ministry later confirmed. Moscow has insisted its aircraft was not in Turkish airspace and posed no threat. The Russian Defense Ministry has suspended military contact with Turkey over the plane downing, which President Vladimir Putin called "a stab in the back."